The temperature of the hot water is 39 ° C so not very hot. 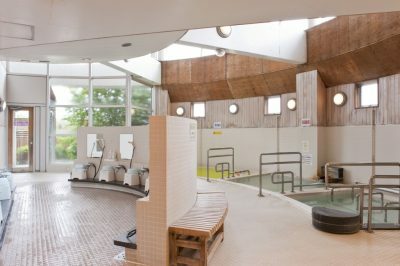 The bathtub is the biggest one in this facility. You can enjoy the color and fragrance of the four seasons in the bathtub. Rose & Sandalwood, Sakura, Forest bath, Hinoki, Yuzu and more.